1-Point V Face package at Tiffiny Yang Aesthetics & Surgery. Fallen deeper into vanity trap. Despite my petite build, my face has always been on the broader side. I tend to hide the angular jaws and meaty cheeks with my hair, and it wasn’t so fun being called names like 咸煎饼 Hum Chim Peng because of my flat and round face. If you had been following me closely, you would have known that I had My Nose Filler Treatment done about two weeks ago – which I am really loving and satisfied with the results. 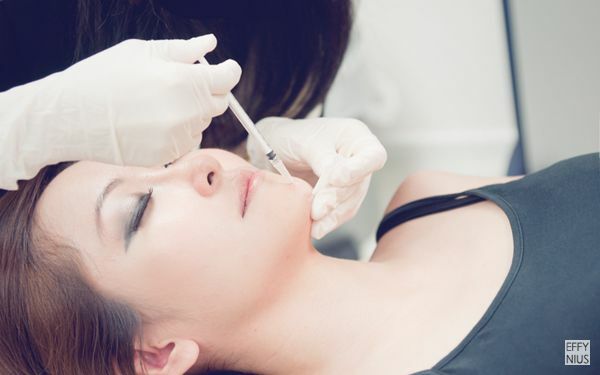 Thereafter, I went on for another treatment couple days back – 1-Point V Face – face slimming by Botox injection and chin augmentation by filler injection, in simple terms – botox jaw and chin fillers. What Is Special About Dr. Tiffiny’s 1-Point V Face? 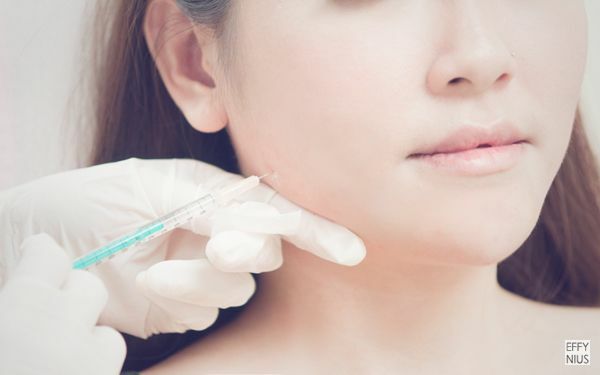 Current administration of botox to reduce one’s jaw line (square jaw reduction) will usually involve approximately 3-6 injection points on each side of the face. 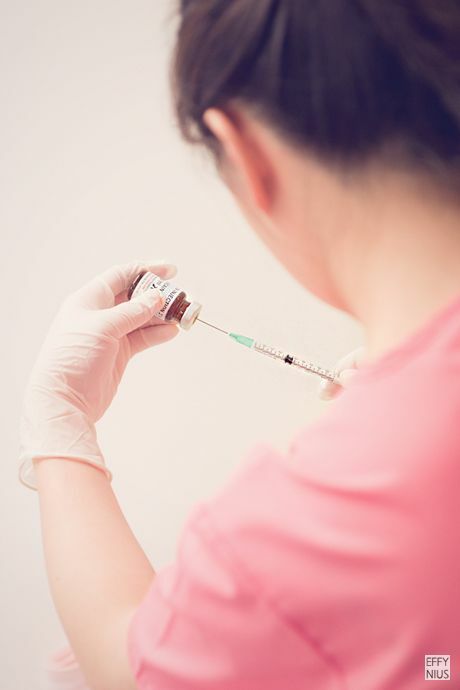 For many patients, 3 to 6 jabs on each side on the face can be a very frightening thought. Dr. Tiffiny has mastered an innovative technique which only requires 1 injection point on each side of the face. The results of Dr. Tiffiny’s “1-point V Face™” is exactly the same as the conventional 3 to 6 point injection technique. Apart from the reduction of one’s jaw lines, the “1-point V Face™” may also include another one or two point filler injection to the chin to create a V shaped face. 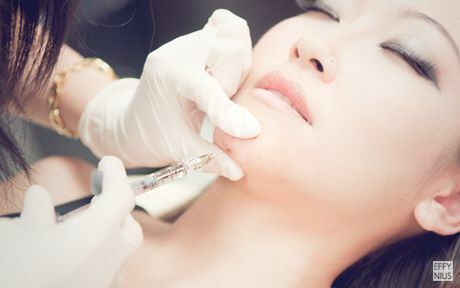 Conventionally, a chin filler procedure usually requires approximately 4-5 jabs. 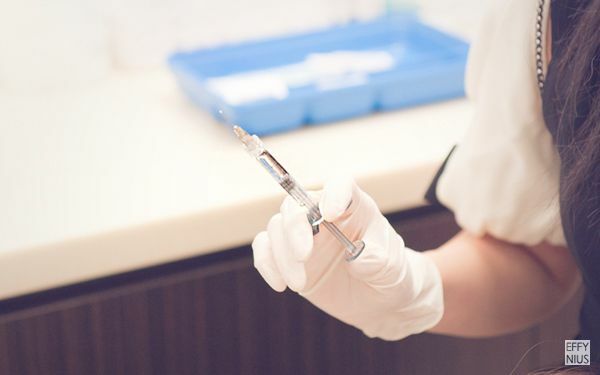 The “1-point V-Face™” is essentially an injection technique developed to overcome a patient’s fear of needles and pain. All that is required is 1 injection point per site for the same results. The “1-point V Face™” effectively administers approximately 75% less injections then conventional methods of jaw reduction and chin filler collectively. The procedure is minimally invasive and does not involve surgery. For more information on Tiffiny Yang Aesthetics & Surgery, please refer to the previous post on My Nose Filler Treatment. 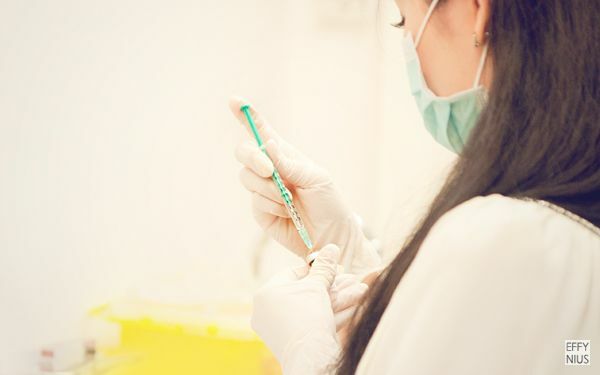 Since this is not my first visit and I am better familiarised with how the clinic works now (plus I had read up on the 1-Point V Face package before making my trip down), I had just a short consultation with Dr. Tiffiny Yang – and explanation of the entire procedure – before the proceeding of treatment. With all my questions answered and doubts cleared, we are ready to proceed with my 1-Point V Face treatment! Unlike the nose filler I had (which requires up to 5 injections along the nasal bridge and tip), no numbing cream was needed for chin filler as only one or two injections are needed. Anesthetic injection works fine, although it may hurt a little at first. A short or stubby chin is the nemesis of the ideal face shape for beauty. 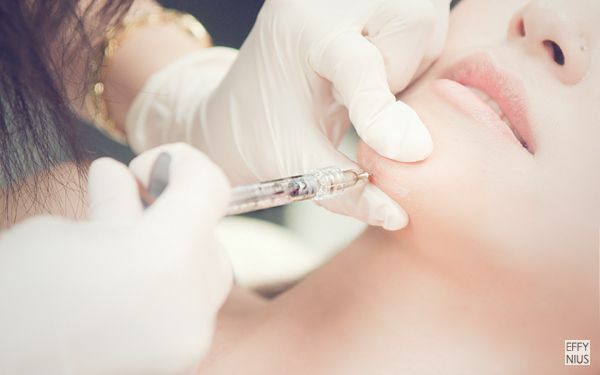 Using hyaluronic acid filler injections, you can reshape your chin, therefore improving both your side and frontal profile. Hyaluronic acid filler is a proteoglycan similar to what is also found in our skin, eyes and joints. It is highly reversible, either by dissolution or natural breakdown by the body over months, and has been found to be very safe for facial contouring. 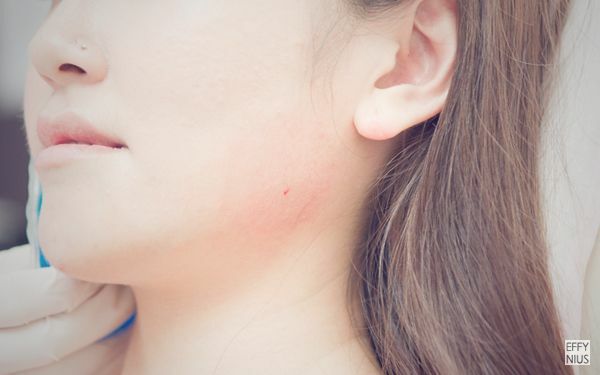 For chin contouring, it only takes one, at most two injections, with Dr Tiffiny Yang’s 1-point V contour technique, therefore minimising the pain with almost no downtime. 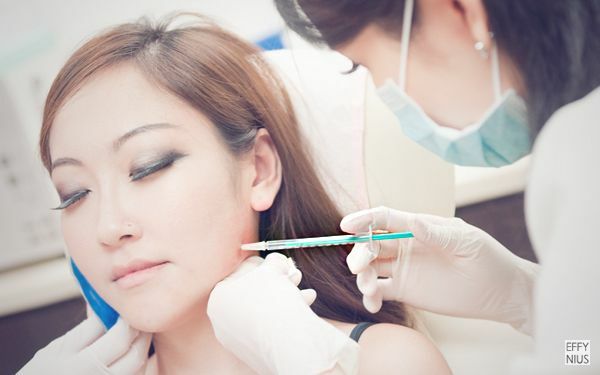 For first-time fillers, an average of 1-2cc of filler is sufficient. Pain is minimised with the use of filler that contains lignocaine to numb the injected areas. I thank the anesthetic injection and her professionally steady hands. With excessive chewing or grinding at night (in a condition known as bruxism), the masseters at the jawline can grow to quite a size (causing the jaws to look square), much like how body builders grow their abs and pects by training them. Relaxing the muscles by injecting Botox is effective in shrinking the jawline, thereby reducing the square jaw appearance. Botox is injected into the masseters on each side of the face and spread out at multiple points within the muscle. With Dr. Tiffiny Yang’s proprietary 1-point V Face technique, it only takes one single injection per side of jaw and is completed in under 5 minutes. It is highly effective, with minimal or no pain and absolutely no downtime at all. The procedure is a non surgical procedure, and the face slimming effect is seen at any time between 2 to 8 weeks. Marking the position for botox injection. Finalising the position from my bite. Can you see that MY CHIN IS INSTANTLY SHARP? 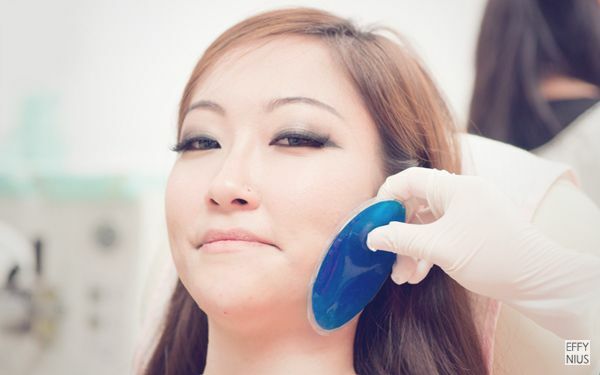 Ice pack was placed on the area to be treated, before the Botox injection. Botox injection was slightly painful as compared to nose and chin fillers, since it was done without numbing cream nor anesthetic injection. The pain is however bearable. The small and almost invisible injection hole. Red patch was due to my (overly)sensitive skin. Now let’s bear with it for one more time, on the right. Any pain (if any at all) during the treatment was all worth it. As you can see, there was no visible mark – apart from the injection holes – to show that I had anything done to my chin and jaws. The chin is sharpen with immediate effect – making my face look slimmer and sharper distinctively. As for jaw slimming, Botox takes about 1-2 months to take effect. I am excited to see the V shape – in full blown effect – in the near future! for beautifying my looks in the most natural way. If you are looking for an aesthetics physician but is skeptical because you are not sure of where to go and who to look for, Dr. Tiffiny Yang is the one you would love to see. I would like to know the package is sgd$ 1400 NET (for both botox n filler injections) including consultation with doctor??? Also for nose filler, 1 syringe is enough? How many cc? Thanks!